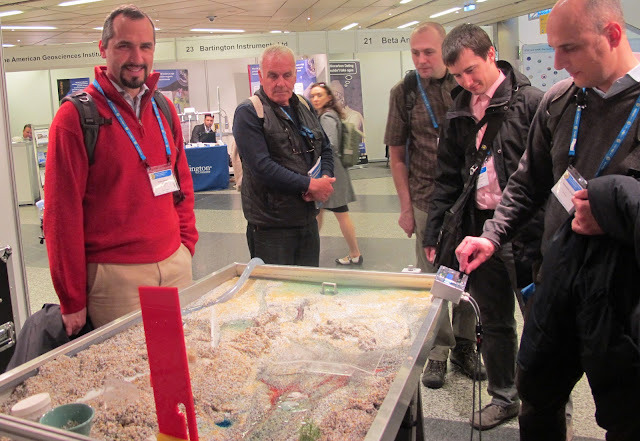 Riparian Rap: LRRD at EGU Vienna. Our Meriam is back from Vienna, Austria, where she and Beth Fisher displayed our Em2 at the European Geosciences Union annual General Assembly. 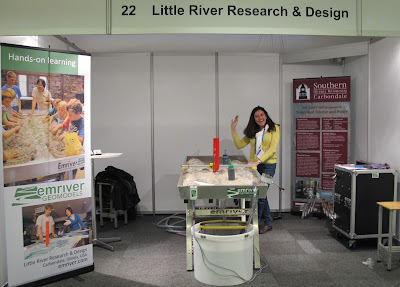 Over ten thousand scientists, from 95 countries, attended the meeting. Meriam visited with some old friends, like Dr. Guido Zolezzi (pictured below), and made many new ones. A special thank you to Sebastien Castelltort, who invited Meriam to speak during a pop-up session at the Steepest Descent workshop about our color-coded-by-size modeling media.